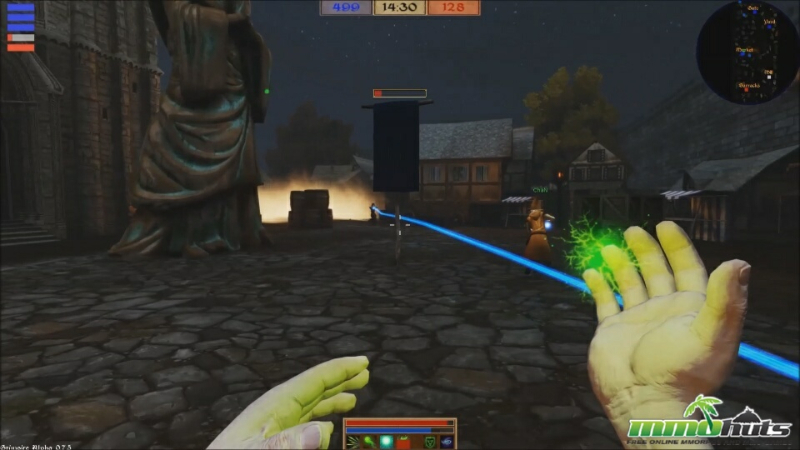 Grimoire: Manastorm is a multiplayer wizard FPS with MOBA-style abilities that puts the player in control of devastating magic; deep spell mechanics enhance classic shooter action with tactics and trickery unique to magical battles. Explore a dark medieval world through three exciting game modes that put a new twist on old favorites. Fight for territory, prestige, and your very survival. 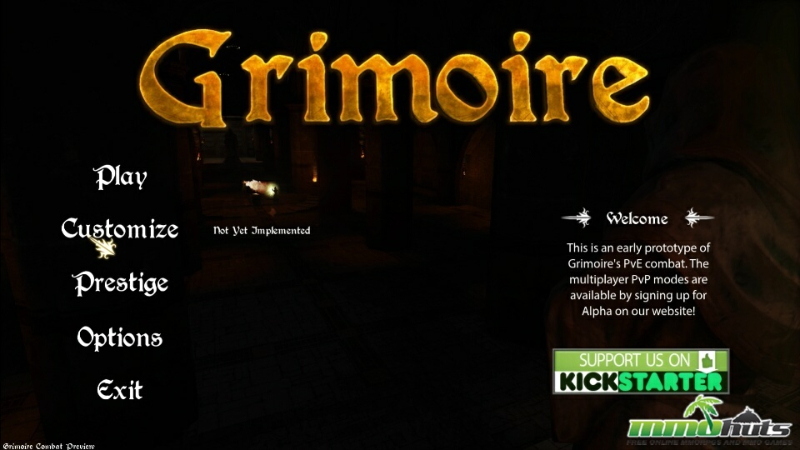 Conquest Mode: In Grimoire, conquest mode is inspired by games like Day of Defeat and Battlefield. 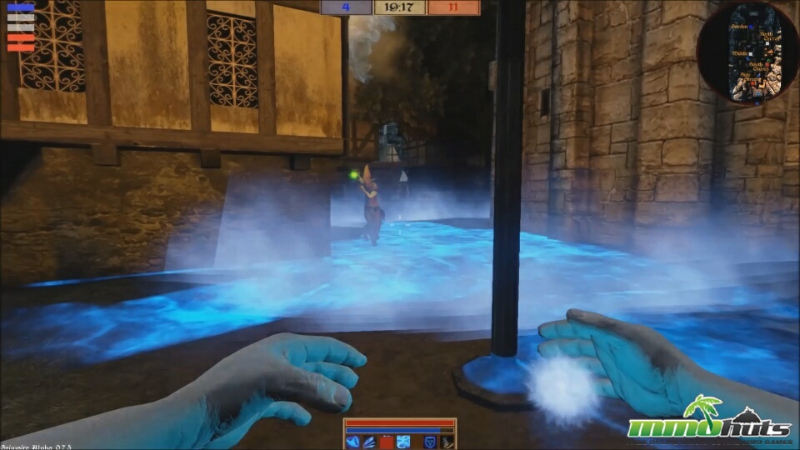 This game mode is based on capturing and defending various areas around the map. The longer a team controls an area the more points their team will gain. Teams will also gain points for the initial capture of areas as well as a large number of points for capturing all areas of the map. When this happens all players will respawn and start fresh. Whichever team reaches a certain total of points will win the overall match. 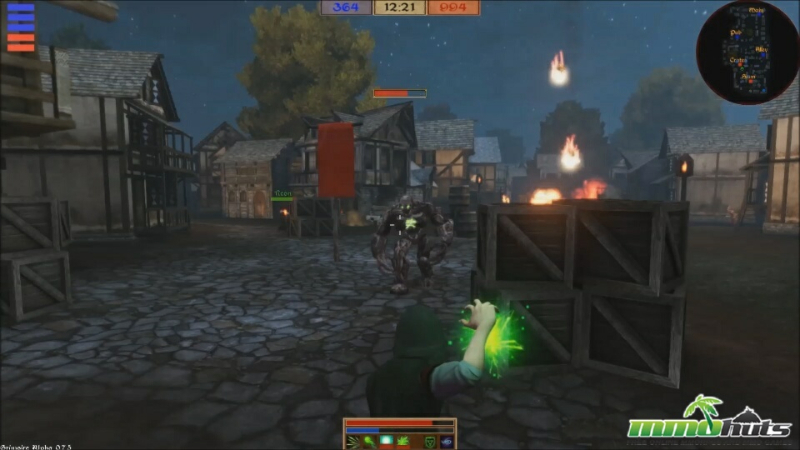 Co-op Survival: Grimoire’s Co-Op Survival mode draws on inspiration from the classic Warcraft 3 mod Hero Siege, Left for Dead, and Call-of-Duty’s zombie mode. 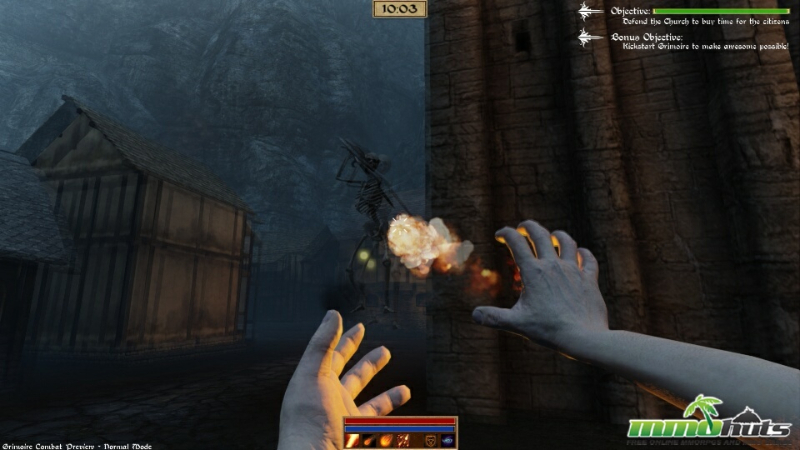 This game mode will pit players against the computer as they try to survive as long as possible against increasingly difficult waves of enemies. 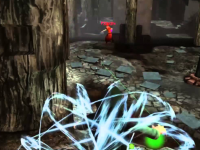 Depending on the map players will also defend different objectives or attempt to escape an area. 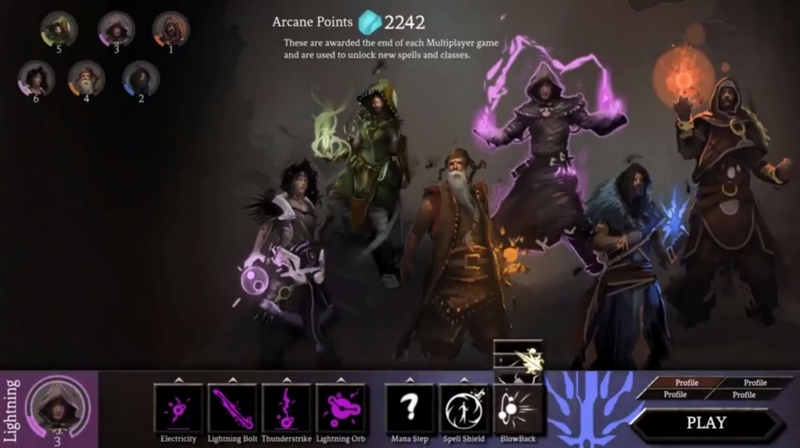 Players will start with basic spells and then upgrade and replace those spells with others as they gain experience. 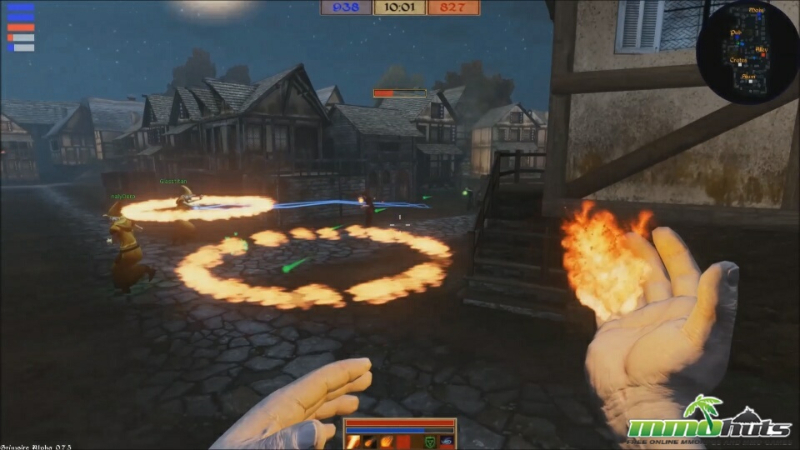 Arena: The Arena game mode is inspired by games like Counter-Strike and World of Warcraft Arena. Players will get one death per round and careful aim, quick reactions, and teamwork will ultimately determine which team will win the overall match. This game mode has a heavy emphasis on class/spell composition and strategy and is designed to promote intense competition between teams. 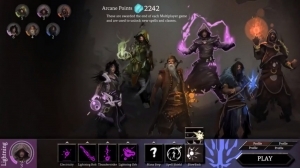 Unique and Customizable Classes: Each class role is defined by four unique spells and one passive passive ability. 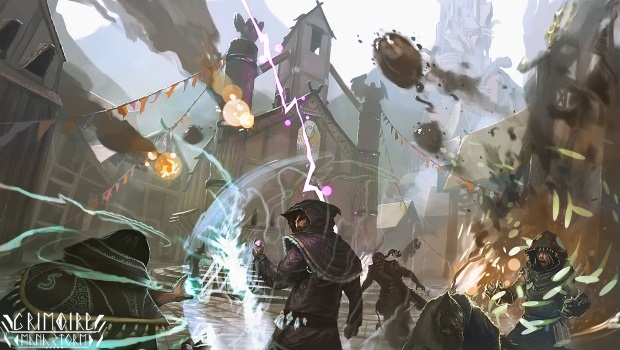 Every class has an “Ultimate” spell that is more powerful than the other three, but comes with a heavy cost. Passive abilities offer each class a unique strength such as bursts of speed or heavier defense. 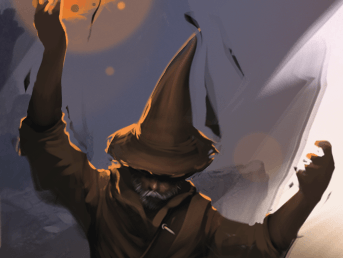 Players can further customize their chosen class with one movement and one utility spell for a total of seven spells per class. This customization allows for players to tweak classes to fit whichever role they desire and can often times change the entire feel of a class.